The International Consortium of Investigative Journalists publishes today a searchable database that strips away the secrecy of nearly 214,000 offshore entities created in 21 jurisdictions, from Nevada to Hong Kong and the British Virgin Islands. The data, part of the Panama Papers investigation, is the largest ever release of information about offshore companies and the people behind them. This includes, when available, the names of the real owners of those opaque structures. The database also displays information about more than 100,000 additional offshore entities ICIJ had already disclosed in its 2013 Offshore Leaks investigation. ICIJ is publishing the information in the public interest. The new data that ICIJ is now making public represents a fraction of the Panama Papers, a trove of more than 11.5 million leaked files from the Panama-based law firm Mossack Fonseca, one of the world’s top creators of hard-to-trace companies, trusts and foundations. ICIJ is not publishing the totality of the leak, and it is not disclosing raw documents or personal information en masse. The database contains a great deal of information about company owners, proxies and intermediaries in secrecy jurisdictions, but it doesn’t disclose bank accounts, email exchanges and financial transactions contained in the documents. In all, the interactive application reveals more than 360,000 names of people and companies behind secret offshore structures. As the data are from leaked sources and not a standardized registry, there may be some duplication of names. The data was originally obtained from an anonymous source by reporters at the German newspaper Süeddeustche Zeitung, who asked ICIJ to organize a global reporting collaboration to analyze the files. More than 370 reporters in nearly 80 countries probed the files for a year. Their investigations uncovered the secret offshore holdings of 12 world leaders, more than 128 other politicians and scores of fraudsters, drug traffickers and other criminals whose companies had been blacklisted in the US and elsewhere. Their status as outlaws or public officials didn’t prevent them from obtaining shell companies in locales where secrecy laws often make it impossible for prosecutors and other investigators to trace their assets. The files revealed, for example, that associates of Russian President Vladimir Putin secretly shuffled as much as $2 billion through banks and shadow companies. The reaction to the Panama Papers was immediate and viral. Outraged citizens took to the streets in Reykjavik, Malta and London while the hashtag #panamapapers trended on Twitter for days after the story broke on April 3. The prime minister of Iceland resigned over the British Virgin Islands company he co-owned with his wife, while other world leaders scrambled to explain their secret holdings. It took UK’s Prime Minister David Cameron three days to publicly acknowledge he had profited from an investment fund, created by his father, that was incorporated in Panama and managed in the Bahamas. In Spain a minister resigned after being caught in a series of lies about his connections to offshore, and in Uruguay police arrested five individuals suspected of laundering money for a powerful Mexican drug cartel. The Panama Papers underscore the fundamental injustices and inequalities created by the offshore system, media commentators and political leaders say. “When taxes are evaded, when state assets are taken and put into these havens, all of these things can have a tremendous negative effect on our mission to end poverty and boost prosperity,” Jim Yong Kim, the president of the World Bank, said as he opened the spring meetings of the World Bank and IMF in Washington soon after ICIJ and more than 100 other news organizations began revealing the results of the media collaboration’s investigation. President Barack Obama, meanwhile, pointed out that the biggest problem was that many of the schemes revealed by the Panama Papers were legal. “It’s not that they’re breaking the laws, it’s that the laws are so poorly designed,” he said. The revelations reignited the debate about the need for public registries in which information about who ultimately controls a company be accessible to all. The UK has made disclosure of beneficial owner data mandatory and public, but British overseas territories such the British Virgin Islands and the Cayman Islands, some of the busiest offshore havens, have agreed to share that information only when it is requested by law enforcement. The searchable database that ICIJ publishes today allows users to explore the networks of companies and people that used – and sometimes abused – the secrecy of offshore locales with the help of Mossack Fonseca and other intermediaries. The leaked data covers nearly 40 years, from 1977 through the end of 2015. The data, which includes postal addresses, displays links to more than 200 countries and territories, from China to Chile. Users can filter the information by country and by offshore jurisdiction. They can also explore the role of banks, law firms and other gatekeepers of the financial system in facilitating the creation of offshore companies for high net worth individuals. 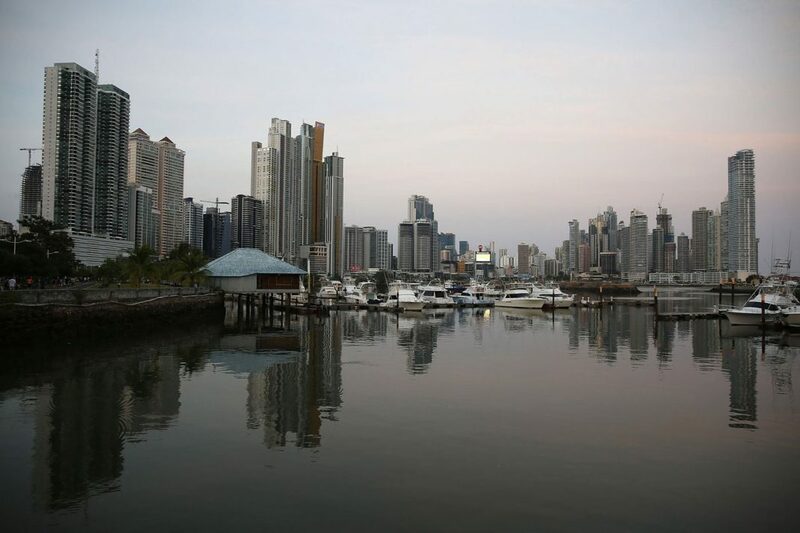 For the first time, they can see details about shadowy Panamanian private foundations, including when available information about who controls them. While the interactive application opens up a world that has never been shown in this much detail, not every owner of a company that appears in the Panama Papers shows up in the public database. 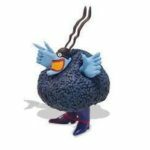 This is because ownership information is often buried in emails, power-of-attorney letters and internal notes of Mossack Fonseca employees and cannot easily be extracted in a systematic manner. In addition, Mossack Fonseca often failed to collect the necessary information about the ultimate owners of companies, relying instead on banks and other intermediaries to keep track of that essential data. Still, it is expected that Panama Papers revelations will continue to surface as regulators and ordinary citizens from around the globe probe the newly available data and find new connections that may have escaped reporters. Concerned citizens are encouraged to share tips with ICIJ and the Panama Papers journalists who continue to investigate the documents. The full dataset is also available for download. The top 50 companies in the United States – which include Goldman Sachs, Walmart, Apple, and IBM – have concealed more than a trillion dollars offshore in 1,600-plus offshore subsidiary companies while still receiving trillions in federal loans, loan guarantees, and bailout assistance, the nonprofit charity Oxfam claims in a new report released Thursday. “Corporate tax dodging costs the US an estimated $100 billion each year, a gap that the average American taxpayer would have to shell out an extra $760 to cover,” the report said. Oxfam analyzed the largest 50 companies over a period of six years, comparing their reported profits, offshore holdings, and paid taxes. Apple led among the 50 companies, with $181 billion in offshore holdings spread across three offshore subsidiaries, followed closely by General Electric, which had $119 billion in offshore holdings among 18 offshore subsidiaries while also receiving $27 billion in federal money. Almost half of all foreign earnings came from five tax havens; the five countries where the tax havens are located only make up 4 percent of the companies’ foreign workforces and 7 percent of foreign investment. In the US, the statutory income tax for corporations is usually 35 percent. According to Oxfam’s report, only five of the top 50 companies paid the 35 percent tax rate. On average, while earning nearly $4 trillion in profits US multinationals “used offshore tax havens to lower their effective global tax rate to just 26.5 percent,” the report found. But whatever you make of this kind of evasion, it is large in scale, and the current tax system allows it to happen. Oxfam has called for the US government to close these tax haven loopholes and pass the Stop Tax Haven Abuse Act, which would redefine domestic corporations to include these foreign subsidiaries. The bill was introduced in the House in January 2015 and has not moved forward since. One of the surprises about the Panama Papers – the largest leak from an offshore tax adviser in history – is how few Americans have so far been exposed. The reason? It may be because creating a shell company in the US is easier than obtaining a library card. The anomaly may be because it’s so easy to create a vehicle to hide your money and your identity in the US that there’s no need to mess with Panama, according to Shruti Shah, vice-president of programs and operations at Transparency International, an anti-corruption organization. “You don’t really have to go to Panama or other tax havens. They are not the only ones making it possible for corrupt officials and other criminals to launder their money. You can do it in every state in the US,” explained Shah. The term tax haven usually evokes an image of some faraway place like Belize or the Cayman Islands. Yet in 2015, in a ranking of tax havens most attractive for those looking to hide assets, the US came in third – surpassing Cayman and Singapore. The two places that were even better suited as tax havens for the rich were Switzerland and Hong Kong, according to the Tax Justice Network that published the ranking. What was Panama’s ranking? It was 10 spots behind the US, at 13. In the wake of the Panama Papers, the number of shell companies incorporated in the US could grow. Instead of stashing their cash in Belize, Panama or the Cayman Islands, the companies and individuals could turn to the US. Transparency International has called on the US Congress to pass the Incorporation Transparency and Law Enforcement Assistance Act introduced by congresswoman Carolyn Maloney and Senator Sheldon Whitehouse. If enacted, the bill would require states to collect, maintain and update information about beneficial ownership of all companies created in the US. “Bipartisan legislation has been introduced in the House since 2008, but it has never seen the light of day. It’s never been enacted into law. Maybe now is the time,” said Shah. In order for any legislation to pass, the US business community would have to come out in support of it, pointed out Lowe. “The US Chamber of Commerce has long opposed legislation to end anonymous companies, and they must reverse that position and begin to support honest and open business practices,” she said. More from the Washington Post last month. 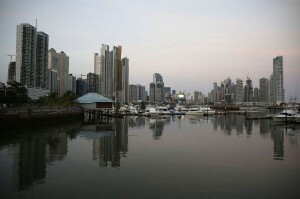 How the U.S. became one of the world’s biggest tax havens. UPDATE: 300 Economists Sign Open Letter Against Offshore Tax Havens After ‘Panama Papers’. Delaware and Nevada are the internal US tax havens. These corporations and individuals use our resources and then sneak away in the night like the rats they are.